Mad Ones Films is an award-winning straight jacket-tested, doctor-approved independent filmmaking company located deep in the heart of Greensboro, North Carolina. The “Mad Ones” specialise in character-focused, dialogue-driven genre-juggling films including everything from Faustian rock & roll thrillers and supernatural noir comedies to Grindhouse gospels and thrilling chilling tales of terror. 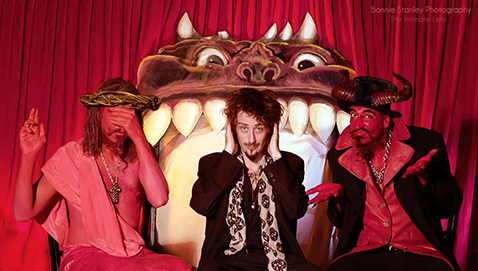 The Mad Ones spent four years working on the award-winning mesmerizing theorizing tantalizing thrill ride of a short film trilogy, "The Gospel According to Booze, Bullets & Hot Pink Jesus." This innovative project by writer/director/mastermind Jaysen Buterin is a four-year labour of love that was initially released as three separate short films allowing viewers to literally watch the movie as it was being made. Their latest films include the black & white killer thriller, “Between Hell and a Hard Place,” “Don’t Let the Light In,” a sinister short twist on the babysitter club, and “The Corner,” a terrifying tale that reminds us that home is truly where the horror is. 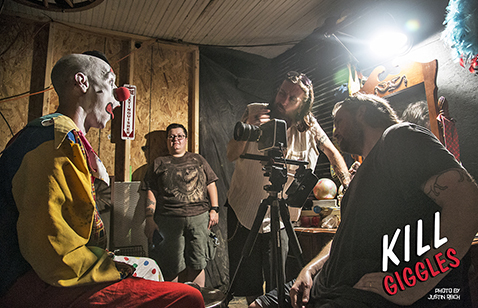 Mad Ones Films is currently in pre-production on their first feature film, the coulrophobic clown-killing cinematic sensation that will forever be known as "Kill Giggles." As the inmates running the cinematic asylum have proven time and time again, the “Mad Ones” have a proclivity for the profound and the profane, and a love for the salacious and the shadows that lurk in the minds and souls of sinners and saints alike. © Mad Ones Films 2018. All Rights Reserved.